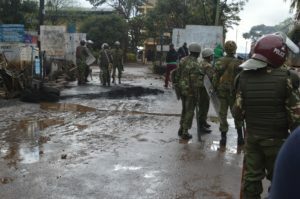 A day to the repeat presidential election, Kibera was on tension and most people did not know what to expect especially after the Opposition leader Raila Odinga who commands a large following in the area had called for election boycott. 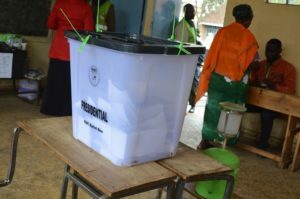 Youths believed to be from Olympic, Gatwekera and Kianda, had, on the eve of the 26th presidential election repeat, taken it upon themselves to make sure no election materials were to be brought to Ayany, Olympic and KAG poling stations by barricading the roads that led to the polling stations. 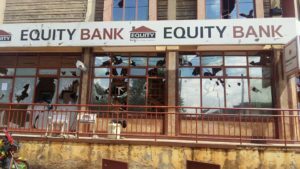 with the fear of the expected confrontations, business were closed early and everyone made sure they got to the safety of their homes but the electoral body didn’t bring the materials on that day as was expected. On the Morning of 26th, The Election day, a group of youths believed to be Opposition supporters, placed barricades at Olympic Primary School, Ayany Primary school and KAG, in an effort to stop any voting happening in Kibera by any means possible. but later the police came and running battles ensued leaving a number of residents with injuries from the almost whole day long confrontations with the police. Voting however took place in some areas within Kibera, such as Kibera Primary school, Parts of Makina and Laini saba where it is believed that there’s a few Jubilee party supporters. 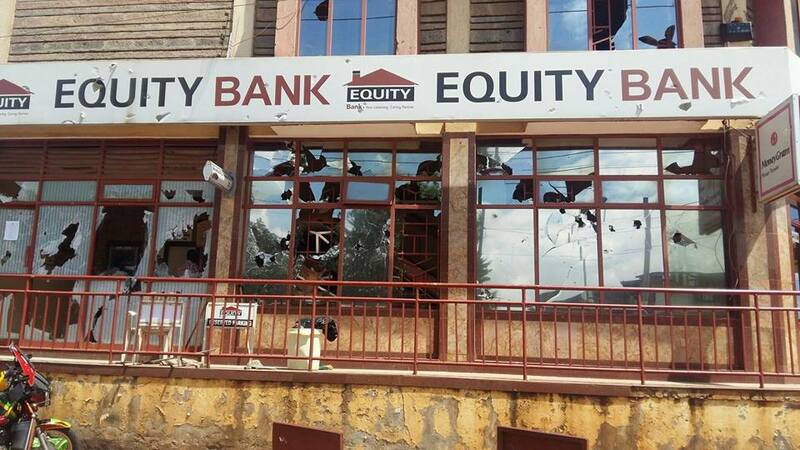 As they day unfolded, the protests turned into destruction of property and looting where by it is believed that protesting youths may have participated in vandalising Olympic Primary School, Raila Educational centre and the Equity Bank Kibera branch in Ayany.